The skincare industry has been progressing and making such great strides in the past few decades that it has started to erase the barrier created by gender. Whereas men used to risk judgemental looks for using skin care products, that is no longer the case and now we can see lines of products and newly developed skincare routines for men. To dispel any remnant myths about “why men don’t need to take extra care of their skin”, we need to be aware of the fact that most skin conditions like acne, comedones and pigmentation are often not gender based. They are equally common to both men and women; hence it is only logical for both to equally focus on taking care of their skin. 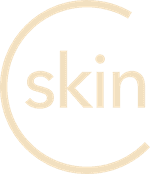 The common skin types like normal, oily, dry and combinational apply to men’s skin as well. A widespread assumption that is made is that since men’s skin is usually tougher and less smooth than that of women, they need different skin care products specifically designed for such skin. This is only fuelled by testosterone-targeted advertisements for men’s skin care products. However, this is false for the most part. A simple look at the ingredients list of any such product and a comparison to a similar women’s product will validate this as well. In actuality, both products tend to be similar and function just as well. The basic actions that any skincare routine for men must perform are to cleanse, exfoliate, moisturize and protect (1). This is a basic process that everyone should follow if they want to keep their skin healthy and blemish-free. One common conflict faced in cleansing is the use of bar soap versus specific face wash. It is indeed true that bar soap is often too harsh on the skin since it has higher chances of drying it out too much. Whereas a face wash is specifically designed to clean the face of impurities, dirt and dry skin whilst retaining moisture in the skin (2). It is extremely important to clean the skin by washing it with cleansers, as this rids the skin of possible impurities and dirt that may later clog the pores on our face. This clogging is the cause of pimples and acne. When oil producing glands known as sebaceous glands get clogged and infected, they result in pustules which we call “pimples” (3). This is only the first step in a series of simple steps for healthy skin for men and there happen to be a wide range of face washes for men to choose from now. The following step of exfoliating is vital. It needs to be performed once or twice a week by men because it helps open up pores and rid them of any impurities. The apt way to go about this would be to wash your face with warm water that opens up pores. Exfoliating with suitable facial scrub extracts dead skin and debris from the outermost layer of skin. Post this mild desquamation (4), washing the face with cold water will help shrink pores and this ensures it stays clean. As for any working individual, men who are out and about all day need to ensure they follow these steps in order to combat the dirt that accumulates on their skin. This by far is the most widespread skin care practice that is used by most people. It is medically recommended that we apply moisturizer after baths or exfoliation when the skin is most dried out. This line of products helps restore moisture in the skin, and lipids that help store moisture in the skin’s surface need this to make the skin look younger and fresh. Moisturising further help avoid any future skin conditions like dryness and scaly skin. And it helps camouflage small blemishes and slightly uneven skin tone that you may have. So reaching for the moisturizer is the easiest move for anyone looking for the perfect fix for the skin, men and women alike. Post moisturizing your skin, the best way to end the skincare routine for men would be to help protect the skin from the sun’s harmful rays. The different types of UV rays are capable of causing skin damage. This involves drying out the skin and exhausting it of its natural oils and moisture (5). The rays can also pass through the top layers of skin, causing permanent alterations to the DNA through absorption of UV-B photons (6). Although it’s a complex process it is safe to say that this is far from a desired outcome for the skin. This leads to elastosis, meaning that the skin loses its elasticity and leads to wrinkling and fine lines (7). To avoid such damage to the skin, it is always safe to use suitable sun protection in the form of sunscreen lotions, with an adequately high SPF, depending on how long you spend your time outdoors. Wrapping up a skincare routine for men with sunscreen will prove to be a great improvement for the skin. This is especially for men whose work or studies has them spending more time outdoors. In general, apart from having a basic skin care routine as the one above, along with a healthy diet and exercise is more than sufficient for a healthy looking clear skin. However, do not be discouraged if you still face skin conditions like acne because other factors do play a part in this. For teenagers, going through the hormonal changes during puberty will inevitably result in acne. For more apt advice on your skin, be sure to consult a dermatologist to find out your skin type and the exact kind of skin care you may need.